Recumbent cycling – The benefits and how to make it work for you! Paired with a healthy, varied diet, most of us will get optimum results with just 30 mins of recumbent exercise a day. FACT: The more muscles used the easier it is to work within your heart rate zone. Recumbent cycling involves all the major lower body muscles in the backside, quads, hamstrings and calves while your arms are free for an upper body workout. No other exercise works such a large amount of muscles, in a comfortable position so you can find it easier to exercise for a longer period of time. FACT: The more lean muscles your body has the faster your metabolism. You will burn more calories at rest. Recumbent cycling works all the muscles evenly and doesn’t rely on one group for all the power. Recumbent cycling – Your ‘laid back’ ride to health and fitness! You sink into your comfortable seat, step onto your foot pedals, choose one of the many programs and you’re off!! The seat puts your hips in a natural position where your back is supported and your posture is correct. You cycle at a pace that you know you can keep up with for as long as you need to. The comfort Factor – The biggest single reason for most of us to quit a program is because of discomfort in one form or another. Whether its ‘Saddle Soreness’ caused by the narrow seats or the over use of one particular muscle in the legs as with a regular upright bike. These problems are overcome with the ergonomic design of the recumbent cycles, it tilts your pelvis back giving a natural curve to the spine and spreads the workload over all the muscles in the legs so you will be breezing through your workouts, wondering where the time went! 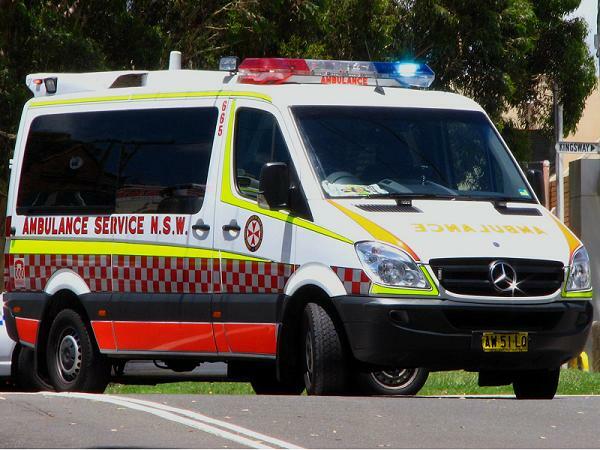 Are you an employee of the Ambulance Service of NSW? Do you buy Wholesale from Fitness Equipment Retailers? Well now you can! You may apply for a DYNAMIC Wholesale Membership and start to save! Your discount will be available via the Wholesale Login on our website. Simply complete all the required fields in the Wholesale section on this website. www.difitness.com.au/wholesale. Enter ‘Ambulance’ in the Business name section. We will aim to have your DYNAMIC Wholesale Membership account verified within 2 business days and you will be notified via email once approved. Any queries please call 1300 550 686 and speak to one of our friendly team members. 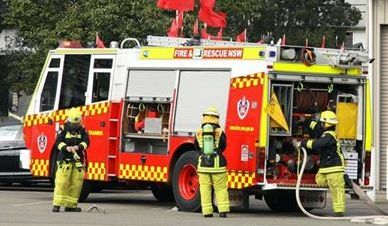 Are you an employee of Fire & Rescue NSW? Simply complete all the required fields in the Wholesale section on this website. www.difitness.com.au/wholesale. Enter Fire in the Business name section. We are happy to announce that Dynamic Insight Fitness has come to Hoppers Crossing!! The fitness equipment store formerly known as Workout World has branched out and become a Dynamic Insight Fitness store! Many of you may have previously known us as being a franchise of the Workout World Group. However, since Workout World has recently being sold the franchised stores have banded together to become Dynamic Insight Fitness, a major national company which is totally Australian owned and operated and is a company that has been around for 20years! With the same friendly staff, management, store owner – Andrew Morton (or more affectionately known as Morty!) and shop location, the local Wyndham community can have piece of mind that we are still here to supply and support them with their fitness equipment needs. With the addition of new equipment, a more extensive range and competitive prices, we here at Dynamic Insight Fitness Hoppers Crossing are very excited about our new change. So we welcome you to come visit us at Harvey Norman Centre, 201-219 Old Geelong Road, Hoppers Crossing, VIC 3029 and check out our new range of equipment. Modern life can be stressful. The demands on our time and our attention are huge! Work is intense, family demands can be exhausting, and we’re bombarded by news and current affairs, advertising and other information at all times. Sometimes we need to just stand back and strip everything back to basics. 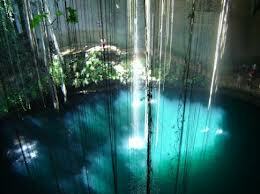 The World is amazing and letting yourself see it through fresh, non-jaded eyes can be so refreshing. Dynamic Insight Fitness is growing! We’re excited to be re launching our NEW website with a NEW product range and we’re expanding our Retail outlets into, NSW, VIC, and TAS. In the near future we will be opening in other states around Australia. Having started Dynamic Insight Fitness (DIF) in 1993, we have grown to be an Accredited Government supplier to the NSW Fire Brigades, Schools, Pharmacy’s, Physio’s, 5 Star Resorts, Surf Life Saving Clubs, Police, just to name a few. In 2014 we’re launching nationally, Fitness in Pharmacy. This innovative approach to helping people in a trusted environment, will see more Australians being able to access their fitness needs while they’re chatting to the Pharmacist. Thank you to all the staff, suppliers and clients who have supported us along the journey and we welcome the amazing people who have joined our vision of serving people with integrity, energy and professional care. Please have a look around our website, we welcome your comments and look forward to helping you reach your health goals.